PlayStation 3 owners who make use of the "Other OS" option will need to backup their data fast, because with the newest firmware update they're going to lose it. While the "Other OS" feature only exists for older PS3 models, hacker George Hotz revealed in a blog post that the feature could be used to create a security exploit, giving the user far more access to the system than Sony likely intended. In the most recent firmware upgrade, Sony is removing this feature from any PlayStation 3 that has it. Whether this is in direct response to the cracking is unknown, but Sony is billing this update as a way to increase security. "In addition, disabling the 'Other OS' feature will help ensure that PS3 owners will continue to have access to the broad range of gaming and entertainment content from SCE and its content partners on a more secure system," SCEA corporate communications director Patrick Seybold said. 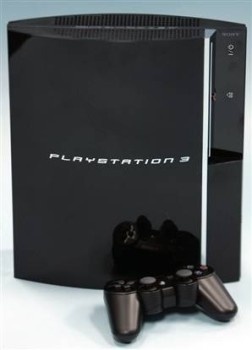 Those who wish to decline the firmware update will lose access to PlayStation Network and online features associated with the PlayStation 3. Sony has also said declining the update will bar players from new updates and features. Finally, any stored data on an Other OC user's PlayStation 3 will be lost once the update is installed.